Psychology has had a huge impact on our understanding of the space race of the past, today’s current missions, and future journeys beyond the orbit of earth. The first missions into space were short with small crews all of whom usually came from the same country. Over the years, missions have become lengthier and the space race resulting in cooperation among nations has led to more diverse crews. This means that there has been a need to discover and develop positive, constructive and adaptive ways to cope with the stress of working in space and to communicate in spite of cultural differences. It is now widely recognized that adequate coping mechanisms need to be taught to astronauts before their launch date so they become second nature. Learning how to properly handle interpersonal problems both between and within countries is also critical for future missions. 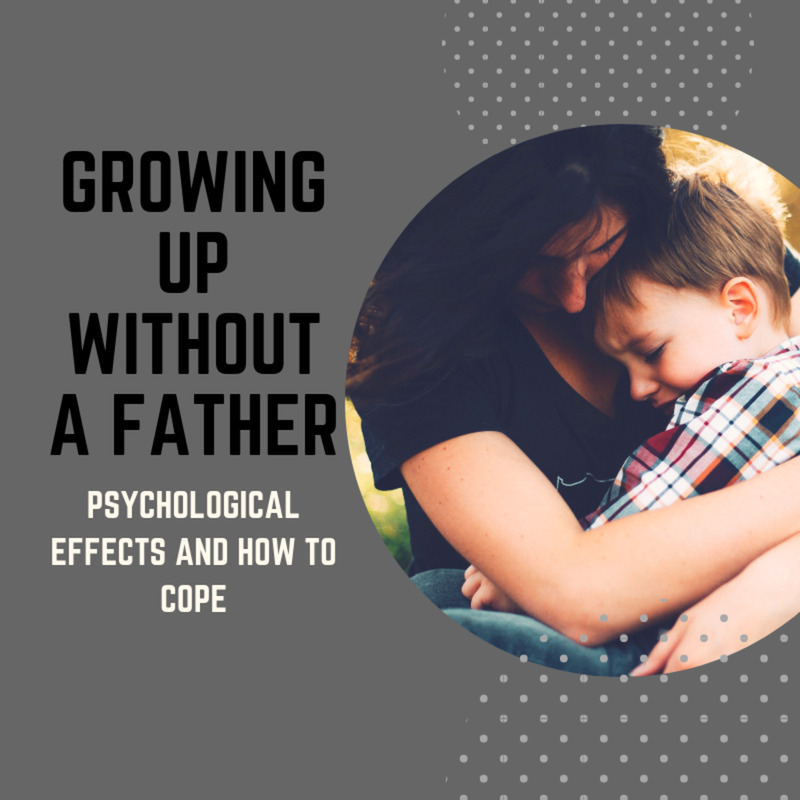 This understanding has come out of experiences in different eras and from different missions which have required the use of different coping skills and methods. How Does Psychology Apply to Space Exploration? It is no secret that astronauts live and work in out of the ordinary and highly stressful surroundings where they are constantly challenged physically and psychologically. Mission success largely relies on their ability to maintain their own well-being and that of the other members of the crew. This calls for a focus on positive psychological outlooks and presupposes the skills to be able to conduct supportive interpersonal relationships. 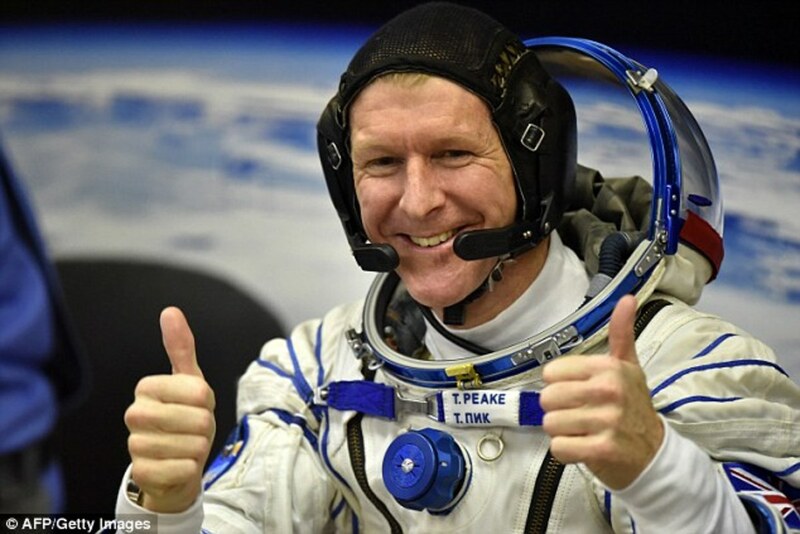 At the same time, it is obvious that each astronaut brings with them a certain psychological makeup, personality style, belief system, coping preferences, background, way of thinking about things and general way of viewing the word. All of these factors play a role in how they adapt to their mission in space and to the individual nature of those with whom they work. There are a number of psychological stressors that astronauts experience on a mission. The w must tolerate significant disruptions to their physiology, including sleep alterations, radiation exposure, and changes in gravity, which can seriously impact mood. They must live and work in confined spaces with social interactions being seriously limited and they are far from home. Their work has major implications not just for those in their own country but for people around the globe now and in the future. Additionally, they are under constant scrutiny by those at NASA and the public at large. 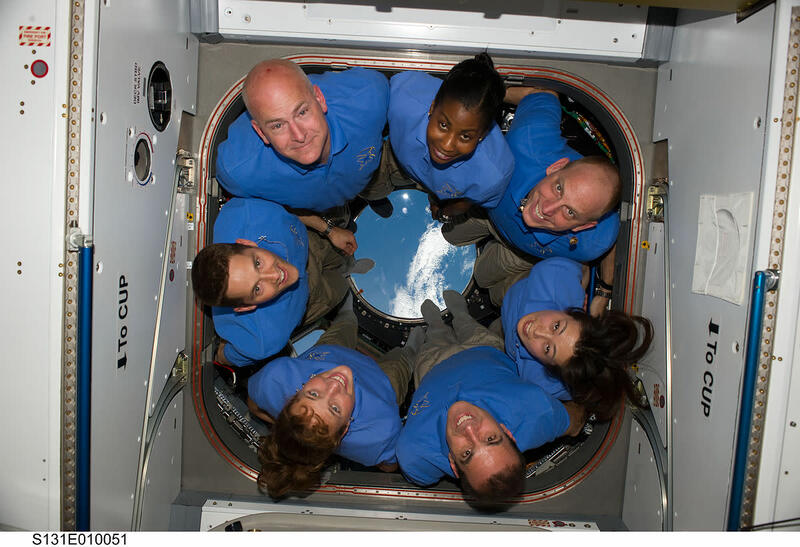 Being in such close proximity to the rest of the crew 24/7 means that the mood and behavior of one astronaut will likely impact the others they are working with. Without the support and intervention of psychiatrists and psychologists, these factors could severely affect the well-being of the entire crew and result in the premature termination of a mission. From the very beginning of the space program, psychologists, psychiatrists, behavioral medicine experts, human factors experts, and other professionals cautioned leaders about the psychological toll of living and working in space. They asserted this toll was a major risk factor for mental health problems that could jeopardize the missions and lead to long term negative outcomes in the astronauts The experts warned the leaders at NASA that this risk would increase as missions became more complex, had longer duration and involved larger, more diversified crews. In an effort to head off such problems, these experts called for research into predicting what factors lead to an increase in space travel risk and the development and application of preventive countermeasures that could be applied. 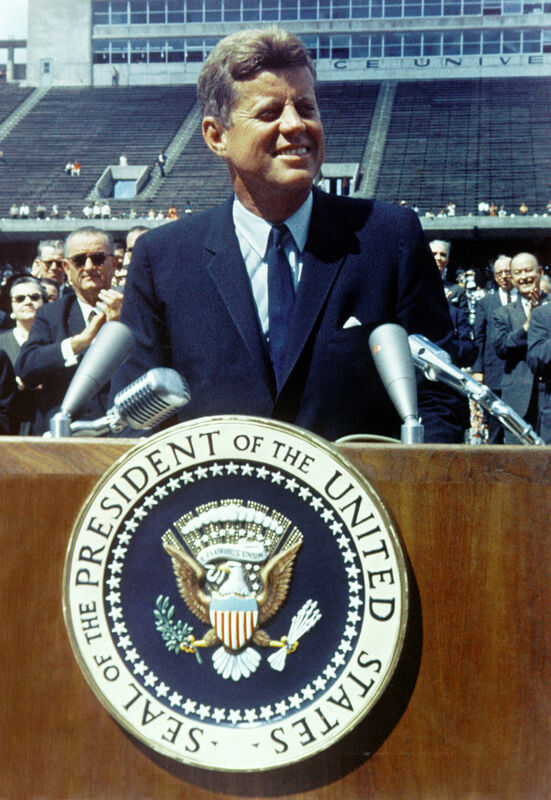 Psychological intelligence played a major role and contributed a great deal of knowledge to the establishment and inception of the space program. As valuable as these efforts were, once problems at the beginning of the program had been addressed, the benefits of including psychology experts in the developing administration were no longer acknowledged. For many years after that most areas of psychology were all but absent from NASA. It would be decades before psychological contributions would once again help shape the way astronauts were trained and supported before, during and after NASA missions. Part of this absence was due to the reluctance of NASA to have astronauts seen as anything but perfect. People wanted their heroes to be heroes and not to be shown to be blemished in any way. Even the press showed an aversion to find out negative information about astronauts, instead seeking to confirm that they embodied America’s deeply held virtues. Psychological research suggesting the slightest possibility that a mission could be compromised by psychological issues would have been a public relations nightmare. It wasn’t until the mid-1990’s that the usefulness of psychological techniques addressing interpersonal adaptation was once more recognized. This was the time when U.S. astronauts joined Russian cosmonauts on the Russian space station Mir. However, the focus was a bit skewed. This was because NASA and U.S. leaders were more concerned with enhancing performance than improving interpersonal relations. The goal was to enable the astronauts to show up the cosmonauts. Information processing research was also utilized to help the astronauts better gather information about their counterparts while preventing the Russians from gaining information about the U.S. space program. Although many psychology research scientists believed these goals to be counterproductive in helping the astronauts adjust and adapt, they realized that their inclusion back into the space program would give them leeway to examine other questions as well. 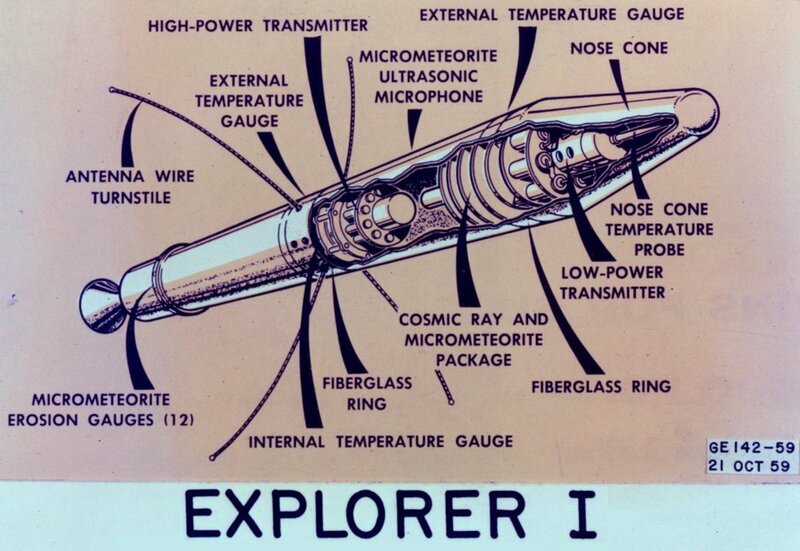 They used the opportunity to include variables that had been previously overlooked, at first clandestinely while providing the data for which NASA had asked. 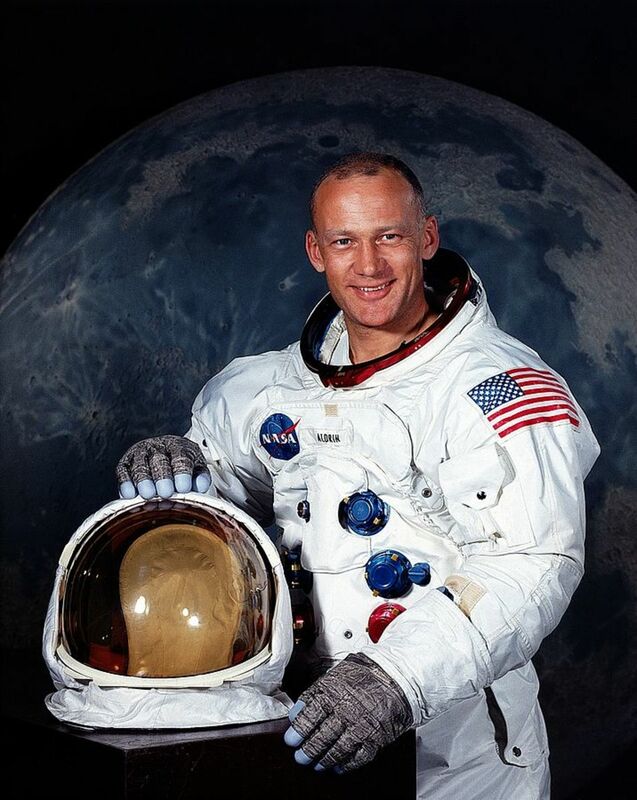 These included such areas as personality and social psychology, Later when they began to carefully reveal other findings, they began their struggle to have the psychology field acknowledged and accepted as part of the space program. Over time the field of psychology obtained greater recognition for their efforts in astronaut selection and continuous psychological support. Other research areas that were appreciated by NASA and which gave psychology a permanent place in the administration were how analog environments and simulators could be used for research and training needs, the psychological effects of viewing earth from space, group dynamic based on crew composition space tourism and diversity issues related to international missions. Any long or short space mission happens in an extreme environment setting that is characterized by stressors that are unique to the situation. Even with exceptional selection strategies, the chance that behavioral, psychological and cognitive problems will occur in flight crews remain a threat to mission success. There have been many concerns over the effects of space travel on the functioning of astronauts. In particular, NASA psychologists worry about the psychosocial effects of being confined to a limited area and the experience of feeling isolated in space. These factors could interact with strenuous work schedules, sleep pattern disruptions and the lack of real-time communication with support on Earth. Experts believe such variables could cause a mission to fail if not identified and addressed early. There have been a number of psychological problems identified on past space missions. Some of these have even resulted in missions ending early. In 1976, the Soviet Soyuz 21 mission to the Salyut 5 station was ended when astronauts repeatedly reported smelling a strong aversive odor. The cause of the odor was never found and it was determined that the crew was suffering from a shared delusion caused by the stress of the mission. In 1985, the Soviet Soyuz T14-Salyut 7 mission ended came to an abrupt end due to symptoms of depression reported by the astronauts. The psychological state of crew members has also led to some frightening circumstances. In the 1980s, a crew member on the shuttle Challenger became upset when his experiment failed and he threatened not to return to Earth. Ground control wasn’t exactly certain what that meant but they feared he had become suicidal. In a similar incident in 2001, one of the crew members seemed unusually fixated on the hatch, and seemed to be focused on how easy it would be to open it and get sucked out into space. NASA has spent much time conducting research and consulting with experts in order to keep their astronauts emotionally fit and to reduce the risks of mental health issues occurring during space travel. Today psychiatrists and psychologists provide support for astronauts and their families from selection and the beginning of training through the end of the mission and afterwards. They help astronauts adjust back to life on earth and help them reintegrate into the workplace after the mission has been concluded. They provide evaluation and counseling services for the astronaut and as well as for family members individually and in dyads or groups. They may even be involved with the astronaut until the end of their career. The majority work done by the psychiatry team involves active astronauts. There are usually around 40 active astronauts at NASA. They are notified about their participation in a space mission two years prior to launch. The psychiatry/psychology group begin to work with the astronaut and their spouse and children, when appropriate, as soon as possible and not later than notification of their launch date. Active astronauts are carefully monitored for behavioral irregularities and psychological distress as they approach their liftoff date. Support and counseling is provided to help them deal with normal reactions and responses to leaving earth and adjusting to life aboard the International Space Station. They are also trained to recognize, identify and handle symptoms of psychological or emotional difficulties in not only themselves but in other crew members as well. They are taught to understand the behavioral ramifications of psychological distress that can cause the mission to be compromised. If astronauts experience a severe problem and feel they need immediate help, they have a number to call or can send an email at any time. Both contacts are monitored 24/7 and astronauts receive immediate attention for whatever the problem is. If major concerns result from one of these contacts the psychiatric team will consult with the space surgeon to determine whether immediate intervention is needed and if so, what course of action to take. In all cases, there will be follow-up with the astronaut to evaluate whether the problem is under control or alleviated or whether additional action needs to be taken. The most common problems reported by astronauts are trouble sleeping, irritability, annoyance with fellow crew members and interpersonal difficulties, mood lability, depressed mood and feelings discouragement, nervousness or anxiety. Once the astronauts return to Earth, they must participate three additional psychological evaluations and debriefings. These occur at 3 days, 14 days, and 30 to 45 days post touchdown. During these assessments they review the lessons the astronauts learned during their mission and they are aided in adjusting to their role on the ground. Given the infrequency of missions, many astronauts do not have the option of participating in another space mission. Therefore, as part of the evaluations, astronauts are provided guidance in deciding whether to stay with NASA or pursue a different career course. The psychiatry team also makes sure that the astronaut has enough enjoyable activities to participate in to wind down and relax. These may be sports related, hobbies they engaged in before the mission, new skills they would like to learn for fun, or family activities that are geared for family bonding and enjoyment. The team feels that considering astronauts are forced to live and work constantly surrounded by the same few individuals in their office for six months or more that once they return their down time should be extremely fun and highly rejuvenating. Physicians are also utilized to prescribe medications to help with mood and other problems and astronauts often use pharmaceuticals to help them handle the stress of space travel cope with the stresses of space travel. According to one study 94 percent of astronaut missions included the use of medication as a means of helping crew members cope (Putcha, Berens, Marshburn, Ortega, & Billica, 1999). Much of the medications used was for sleep problems or motion sickness, but a small but significant amount was used for mood problems including depression and anxiety symptoms. More recently research has shown that 78 percent of crew members took sleeping pills during shuttle missions and many also use other medication for mood problems (Wotring, 2012). New strategies are being developed to help crews during space flight. Information and Communication Technologies (ICT) is one focus for helping astronauts with the stress of space travel. Systems using self delivered strategies via computer programs have been shown to be very effective in enhancing psychological treatments and improving mood in simulator research. Psychology and the development and use of psychological research, screenings and interventions has increases and improved over time in the Space Program. NASA has become increasingly willing to include psychology in conceptualizing, planning and carrying out space missions. Whereas once psychology was viewed only in terms of weeding out unfit recruits, it is now recognized that psychology has an important role to plan in the wellbeing of astronauts. Yet while, NASA has come a long way in terms of its acceptance of psychology as crucial to the functioning of its astronauts, there is still much to learn about mental health and space travel. The issue of astronauts wanting to hide mental health problems during screening to prevent being ruled out is also a concern so better screening systems are needed. Little research exists on the use of psychiatric medication during space travel. This needs to be remedied given the number of astronauts who use medication while in space. As NASA plans for travel to Mars, the likelihood of new psychological problems must be examined. The crew traveling to Mars cannot remain in direct contact with loved ones and there are not regularly scheduled replacement crews, food and care packages like there are on the International Space Station. This means that the new strategies must be devised to combat the negative effects of isolation and confinement which will pose the largest risk for crew traveling on new longer distance missions. NASA has stated that so far, they have had no emergencies in space. However, as missions become longer in duration and venture further from earth, the risk of such a thing happening increases. The psychological effects of extended space travel will need to be better understood and ways of handing psychological treatment during space missions will need to be developed to prevent serious mental health related emergencies from developing. Botella, C., Baños, R. M., Etchemendy, E., García-Palacios, A., & Alcañiz, M. (2016). Psychological countermeasures in manned space missions:“EARTH” system for the Mars-500 project. Computers in Human Behavior, 55, 898-908. Johnson, P. J. (2013). The roles of NASA, US Astronauts, and their families in long-duration missions. In On Orbit and Beyond (pp. 69-89). Springer, Berlin, Heidelberg. Popov, Alexandre, Wolfgang Fink, and Andrew Hess, "PHM for Astronauts–A New Application." In Annual Conference of the Prognostics and Health Management Society, pp. 566-572. 2013. Putcha, L., Berens, K. L., Marshburn, T. H., Ortega, H. J., & Billica, R. D. (1999). Pharmaceutical use by US astronauts on space shuttle missions. Aviation, space, and environmental medicine, 70(7), 705-708. Wotring, V. E. (2012). Pharmacology During Spaceflight Missions. What are some of the challenges of being in space? There are a number of significant psychological and physical challenges of space travel. On top of the psychological stress of being confined in small space other, there are actual and potential physical effects on the body too, which result from the relative absence of gravity and potential exposure radiation. Astronauts must show they can cope with these different challenges in order to be accepted into the space program and they must continue to show they can adjust and adapt to new stressors and conditions as they wait from their launch date. The challenges faced by astronauts will be doubly stressful for space tourists when there is only limited screening involved in selecting who will go. Additionally, they won't have the training to enable them to remain fit and healthy while they are in space. Although many think the absence of gravity would be fun, there has been extensive research demonstrating the negative effects of weightlessness on the human body. Living in zero or negligible gravity for extended periods has a range of health consequences. Many people suffer from a puffy face which many people laugh at, but which actually can signal edema which can have serious consequences. Dizziness is a common problem in low gravity atmospheres. Most seriously, muscle wasting and decalcification of bone occur at relatively fast rates in space. Muscle biopsies from before and after space flight have shown that even when astronauts are doing aerobic exercise five times a week and resistance training three to six times a week, peak muscle strength and overall muscle volume decreased significantly over the course of a six-month mission. Adding other aerobic machines and resistance devices to allow for increased exercise has helped astronauts aboard the International Space Stations somewhat, but there is still some muscle wasting and decalcification that occurs. NASA is considering adding an artificial source of gravity to help with this on future flights although current technology makes this options difficult if not impossible to accomplish today. exposure to extremely high levels of radiation, from sources such as solar flares, can lead to radiation poisoning that can be life-threatening. Although astronauts are protected from radiation through components of the ships hull and their spacesuits, they are aware that these measures can potentially fail during a mishap. 3) Cramped conditions - Living quarters in space are extremely tight, and astronauts have to share them with other crew members for the entire duration of the mission. Common areas are also limited, and most are delegated to the mission and work tasks which the crew often completes as a team. This means that there is almost no alone time, and a general lack of privacy. 4) Constant observation - Astronauts are constantly being monitored for safety reasons as well as to be able to share the mission with the public. Astronauts know that everything they say is not just monitored but is recorded for posterity. Never being able to say or do anything that isn't somehow observed and recorded for the rest of the world can be extremely stressful. 5) Lack of contact with friends and family - Although astronauts prepare for this, they are not expected to withdraw from loved ones on earth, so they can't train for this difficulty. When under a great deal of stress, we often turned to friends or relatives to help us mitigate either through support and empathy or advice and suggestions. The astronauts have only limited contact with loved ones, and on longer missions to farther out in the galaxy such the future Mars mission, there will be no contact possible once they reach a certain distance away from earth. 6) Isolation - While there is a lack of privacy when in space, astronauts also suffer from the effects of isolation and loneliness. Many astronauts have reported the sense of isolation when observing the earth from afar as a small blue ball. When undertaking long missions such as the one proposed to mars, the earth will shrink away to nothing as the ship moves further away so those aboard won't even be able to see it anymore. This sense of being away and apart from every other human being accept fellow crew member can lead to loneliness and depression as astronauts feel like they aren't a part of what is happening on the earth anymore. 7) The Potential for Disaster - Even though astronauts must find ways to prevent themselves from catastrophizing, space is not a habitable place for humans in the absence of protective gear, technology, and artificial atmospheric conditions. Yet all astronauts and space travelers know that something can always go wrong that they do not have the capacity to fix and which could lead to their death. Despite astronauts being extremely well trained to deal with a host of possible problems while in space, they are aware it's impossible to account for or be trained to fix everything that could go wrong. 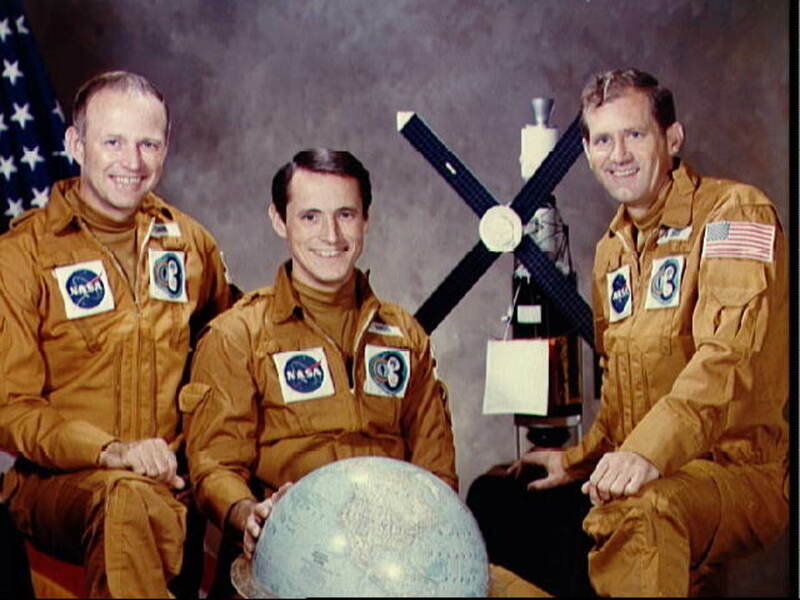 They are also aware that there have been entire crews lost during mission such as when the Columbia blew up less than two minutes after launch. Is there such a thing as a space psychologist, and if so, what do they do? Yes, there are, in fact, space psychologists who are employed by NASA to help with a variety of tasks. On the ground, they help with crew selection regarding assessment and who may become an astronaut candidate. This is a very rigorous process intended to first, weed out those with mental disorders and then ensure that those selected have what it takes to cope with a variety of stressors such as conflict, flight delays, and isolation. Psychologist employed by NASA also carry out evaluations of space personnel at regular intervals leading up to the launch, conduct training sessions to improve coping, leadership and interpersonal skills such as conflict resolution and communication, for use aboard the spacecraft. They also provide counseling for any other issues which may be concerning the astronaut and their family. In space, regular conferences are held with crew members to assess adjustment and functioning, and problem solves any difficulties they may be experiencing. Once an astronaut returns from space, sessions are held with them and their family to help them adjust to being back on earth and reintegrate with their family members. NASA psychologists are additionally involved in other job areas that are space related. Research is a big area of focus for these scientists on topics that aim to increase understanding of how mental processes and functioning and thoughts and emotions are affected by living in space and how self-evaluation and evaluation of the future are affected by serving on a space mission. Space psychologists are also currently tasked with establishing protocols that include identified variables and factors that need to be focused on for long duration space travel. Some of these may differ from less lengthy missions. Space psychologists are creating new ways of evaluating crew members on long-duration space travel such as using physiological indicators of psychological functioning (e.g., heart rate, galvanic skin response, hormone production) and developing methods of observation, data collection, and analysis for these types of missions. What kind of psychological evaluation do they do to qualify or select people to be astronauts? Psychological stability is considered among the most important criteria for choosing astronauts. Generally, this isn’t incredibly difficult given the types of backgrounds the candidates come from such as fighter pilot, engineers with doctoral degrees, CIA and FBI agents among others. These are careers that already generally either require stringent psychological evaluation or which are high stress such that psychological weakness would likely manifest at some point. The Behavioral Health and Performance department at NASA is tasked with two functions in astronaut selection. They must determine who is suitable which is the opt-in function and who should be disqualified which is the opt-out function. The psychological selection process assesses these things separately. The first part of the evaluation involves an initial set of interviews. After this, applicants are evaluated to determine if they are suitable to become an astronaut. Factors assessed include such things as the ability to remain calm under pressure and the use of emotional regulation skills, problem-solving ability, how the applicant functions in a group, personality, resilience, adaptability, flexibility, social skills and emotional lability among other things. After the suitability interviews candidates to determine if there are reasons to disqualify them. A candidate may be disqualified due to clinical psychopathology. There are some unique stressors, and challenges astronauts must cope with in space so any type of existing psychiatric problem will most likely disqualify them. Marital problems and family problems can also contribute to being disqualified. In addition to these interviews, applicants participate in field exercises at the Johnson Space Center to simulate some of the unique challenges of living and working in space. The specifics of these trials are not disclosed to the public for security reasons. In regard to keeping astronauts sane, is shared delusion seen in other patient groups too; or exclusive to space travelers? No, shared delusional disorder is a recognized disorder in the field of mental health. Originally called “folie a deux,” named by Lasegue and Falret in 1877, it's also known as shared psychotic disorder, induced delusion disorder, psychosis of association, or double insanity. It was initially meant to refer to a disorder in which paranoid delusions are transmitted from one individual to others. However, this presentation more likely falls in line with the concept of mass hysteria which can occur during times of high stress. There have been numerous well know occurrences of mass hysteria throughout history. Back in the middle ages there were cases of what is referred to as tarantism where people thought they'd been bitten by a wolf spider which caused them to dance about madly. (As an aside this is actually where the dance the Tarantella was thought to originate from). The Salem Witch Trials were believed to be the result of mass madness or mass hysteria. In more modern times during the Palestinian War there was a case of Palestinian school girls who all suffered from the same physical symptoms although no doctor could find the cause. It was determined to be a type of somatization resulting from the stress of the war. So this type of shared delusional disorder can occur pretty much anywhere anytime when there is an inordinate amount of stress that is experienced by a group of people. Miebakagh - Thank you for the lovely sentiment. You have made my day. I'm so glad you enjoy my writing and actually look for them to read. You will keep me honest and productive. Please let me know if there is anything in particular you might be interested in hearing about and I'll do my best to put an article together about it. Thanks again for the support and well wishes and most importantly for always reading what I write with such a positive eye. I appreciate you as well. Hello, Natalie, I appreciate you. Your articles are always welcomed. I am also on the lookout for them. Enjoy the day. Thank you for your comments, Miebakagh. You always have so much to say when you remark on an article. You are right, we do tend to get bent out of shape over the little things in life. Yet in outer space there are so many other difficulties that can lead to physical and psychological problems. These things need to be better studies and solutions and treatment detailed before we begin the space tourism age. Thanks for the comments. I'd like to read what you put together on the physical aspects of living on the International Space Station, Glen. There are definitely a number of physical and psychological effects of living and working in space and as they interact, it's good to know about both of them. Thanks for stopping by. We tend to think of Astronauts as being tough and able to handle just about anything. But the unique stressors involved in space travel and carrying out missions in this atmosphere can lead to a variety of difficulties that aren't always addressed as well as they could be. Thanks for the interest, Linda. Good to know the title works, Bill and even better, that you found the article interesting. Thanks for stopping by and for reading this. Yes, there would be a difference in medication effects much as there are at different altitudes or at great depths in the ocean. Thanks for stopping by, Flourish, and for the comment. My pleasure, Dora. It is a high responsibility job, that's for sure. Thanks for stopping by and for the comment. Quite an important job for the psychologists. Thank you for helping us appreciate both them and the astronauts. Hello, Natalie. Thank you for such an excellent written up. I say excellent because psychology is the only answer for human space problem solving. Psychology heals or rather has an answer when the mind is sick. I was jingling all day because that astronaut in Challenger threat not to return to earth, but to stay out there in outer space without space suits! It looks quite funny! But suppose the experiment is being done on earth, would he say he will go and stay in space? Or destroy the appliance? We always experienced such small annoying issues down here on earth, right? For example, when a new tool, say a phone do not work as expect. But the problem is us or our mind. I recalled how I came across the subject of psychology years ago. I was 20 or 21 years. It is the end of the fourth year in secondary grammar school. I failed to secure an average pass mark to the fifth class which is final for the School Certificate/General Certificate of Education. I became a little depressed. Somehow, as luck would have it, I got hold of the “Psychology Magazine.” It is a British publication, now out of circulation. 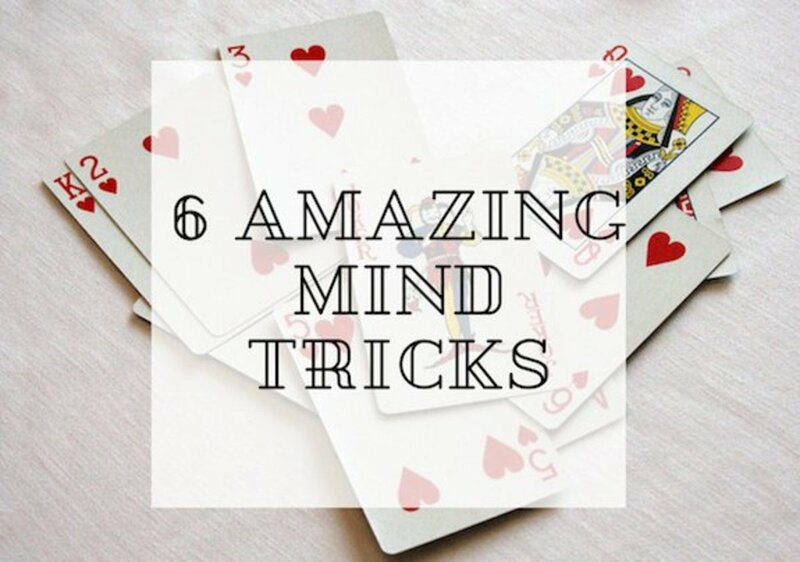 Psychology help my mind, and I soon became a very good student. Many students became alarm that I am becoming an “A” in certain subjects. In my country Nigeria, you can’t get such publications. Psychology is needed in every ramification of life and career. Thank you for bring such stuff to the limelight. I had done extensive study of living on the International Space Station, but I was focused on the physical aspects. Your article was very enlightening, Natalie, as I never considered the psychological issues. The examples you mentioned were interesting — how astronauts suffered from delusions and depression. It’s good that today NASA psychiatrists and psychologists provide support for the astronauts, especially when they return to Earth and need to readjust back to civilian life. This is an informative article. I haven't thought much about the psychological state of astronauts before. I can see that it's an important topic to consider. Fascinating read! You grabbed me with the title, and then I soaked up some great information. The fascination with the space hatch and group delusion were both fascinating examples. I imagine the effects of medication in space have to be a little differ under outer space conditions. 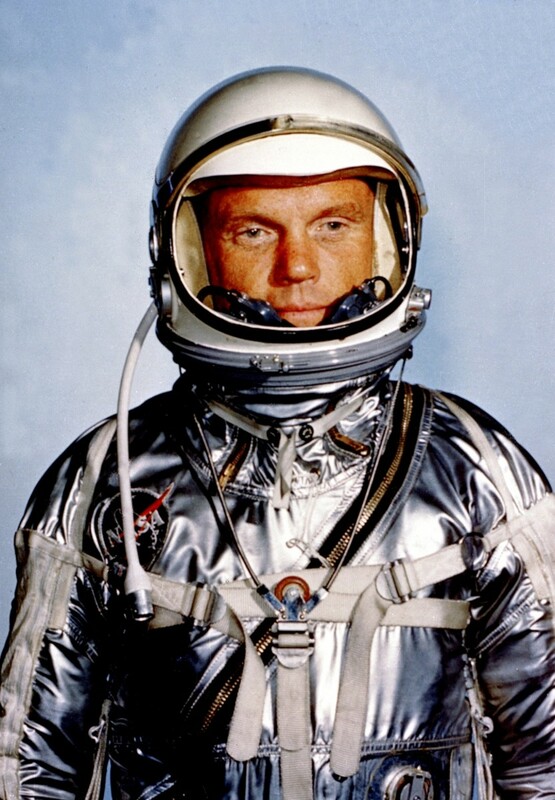 I agree Threekeys - NASA and the astronauts themselves were reluctant for there to be an association of mental health services -It didn't work with the whole hero image - The Right Stuff and all of that. Now we hopefully realize we all have weaknesses and vulnerabilities and the ability to identify these and get help to work through and alleviate them is really what the Right Stuff amounts to. Thanks for the comment and for stopping by. Whst a interesting subject. It's true for me. You are led to think astronauts are "complete" and are without any human frailities Therefore never thought of this side of the equation until you mentioned it here in this article. It would have been good if you had been able to include more day to day examples of what personally challenged them. There were a couple of specifics like the "fascination with the hatch and finding it hard to sleep". Overall you brought us topic that would fly under the radar.